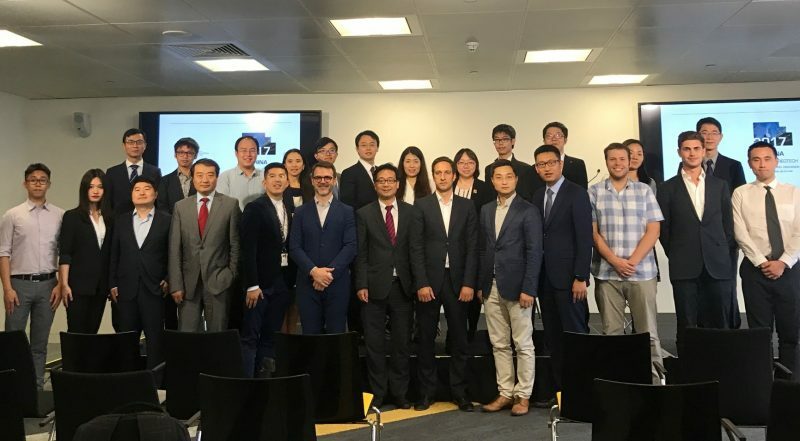 A FinTech delegation led by Professor Yang Dong, Deputy Dean of Renmin University of China Law School and Director of Renmin's Centre for Fintech and Internet Security, visited the UK from 24 July-3 August. Professor Yang led a delegation of 17 academics and experts, including FinTech advisors for Chinese financial regulators, academic researchers from Tsinghua University, Peking University, and China Academy of Social Science, the Secretary-General of Beijing FinTech association, and the Legal Counsel for JD Finance. On the 28 July GBCC organised a visit by the delegation to University College London's Centre for Financial Computing. The delegation was hosted by Professor Donald Lawrence, leader of the Centre's FinTech Group. Professor Lawrence introduced the work of his group to the delegation, and all sides used the opportunity to discuss potential future cooperation between Renmin, UCL, and GBCC. These two events paved the way for extended cooperation between Renmin, UCL and GBCC on FinTech research, and all sides are now in the process of drafting an MoU to further define the parameters of this collaboration.